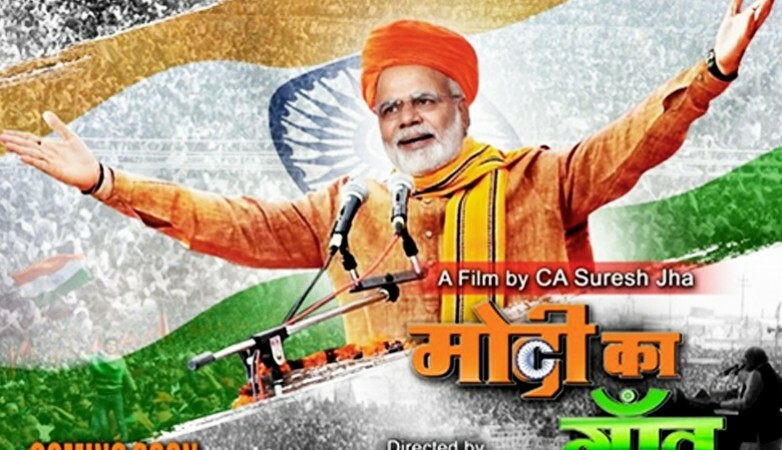 Nearly 11 months after it was denied a censor certificate on various grounds, Hindi feature film "Modi Ka Gaon" - now renamed as "Modi Kaka Ka Gaon" - loosely inspired by Prime Minister Narendra Modi's development agenda, will finally hit the screens all over India on Friday, the filmmakers said. "In the first phase, the Hindi film will be released for around 600 screens in Maharashtra, Gujarat, Delhi, Uttar Pradesh, east Punjab and Uttarakhand. The rest of the country will be covered soon thereafter," film producer Suresh K. Jha told IANS. Promos, posters and banners went up on prominent roads and several cinema halls and multiplexes in Mumbai city and suburbs, besides other cities in the country this week, heralding "Modi Kaka Ka Gaon". Jha reiterated that the film is "not a biopic on Modi", but the story has been inspired by the Prime Minister's vision and agenda for the country's progress. "I am keen that the work of the great leader should be highlighted since some people are making false propaganda and harming the country's interests," Jha said. In February this year, then CBFC Chairman Pahlaj Nihalani had declined to certify the film on various gorunds and set a precondition of a No-Objection Certificate from the Prime Minister's Office (PMO) and Election Commission of India (ECI) for clearing it. "The requirement to obtain NOC from the PMO, since either references are made to the PM or a character is portrayed as the PM, have no legal basis or foundation," the FCAT ruled. "The statutory responsibility for certification of films is cast upon the CBFC Board under the Cinematograph Act. (It) cannot be delegated to different statutory authorities, departments or individuals," the order added. "This was a major victory for us. All the objectionable points raised by the CBFC were crushed by the FCAT and we decided to finally release the film this month-end," Jha said. Nihalani's reluctance stemmed from the ongoing assembly elections in some states at that time (early 2017), the resemblance of the main protagonist to Modi, references to Pakistan's Uri attacks, news-speeches related to the PM and a character named 'Pappu' Bihari featuring in the film. The FCAT also considered Jha's plea that 'Pappu' is a baby's pet/nick name in many parts of India and later it supercedes the child's given name. Also, in the past, there have been instances like Bollywood song "Pappu Can't Dance Saala" and an advertisement 'Pappu Pass Ho Gaya'. However, in the changed avatar, "Modi Kaka Ka Gaon", he has deleted controversial references like 'Pappu' and direct references to the Uri attack and the PM in sync with the CBFC's requirements. With seven songs featuring, the music for the film is directed by Manojanand Choudhary.